ST. GEORGE – Ironman 70.3 St. George is almost here and though the stage is set for 2,500 inspiring triathletes to swim, bike and run their way across the desert landscape, there is an even larger and arguably just as impressive group of people behind the scenes accomplishing Ironman sized feats of their own. They are the volunteers. From athlete check-in to wetsuit peeling, from aid stations to finish line catchers there is a volunteer covering every facet of the race. It is a large endeavor and one that Colby Neilson, Volunteer Director, has down to an art. The system works like a pyramid with Neilson overseeing approximately 70 volunteer captains assigned to various positions along the racecourse and beyond. The captains then recruit their own group of volunteers and instruct them on how to work their areas as well as disseminate the volunteer shirts to each person, said Neilson. 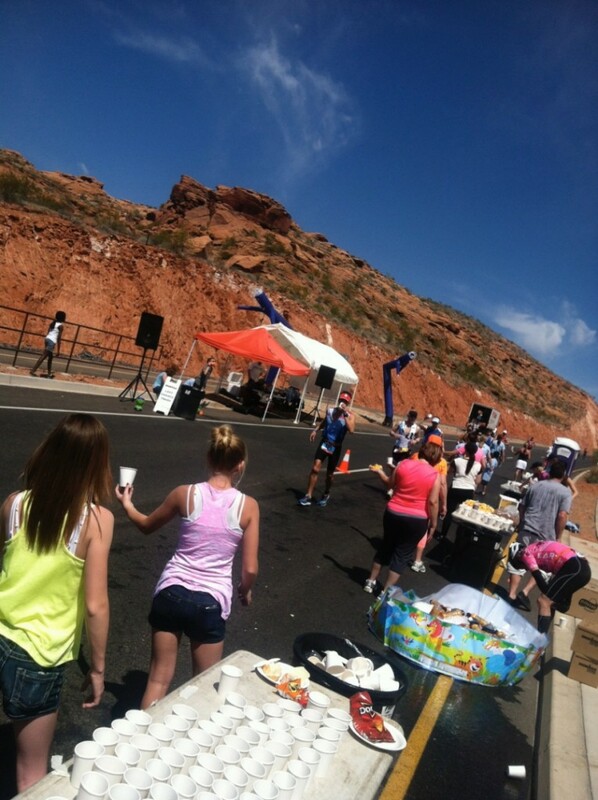 For Neilson, who has been with the race since its first year in St. George, it is a really good way to manage the number of volunteers – up to 3,000 – that come out to help. It is a system that works for the captains too, many of whom have been working as volunteer captains since the race’s inception in St. George. One of those captains, Niki Warner, captain of run aid station number five, signed up to volunteer in 2010 because her husband was competing, she said. and she wanted to be involved and supportive. Despite the stature of the effort, Warner is quick to point out how fun and inspiring it can be. One of the things that Warner feels makes the race so inspiring is the symbiotic relationship between the volunteers and the athletes, she said. 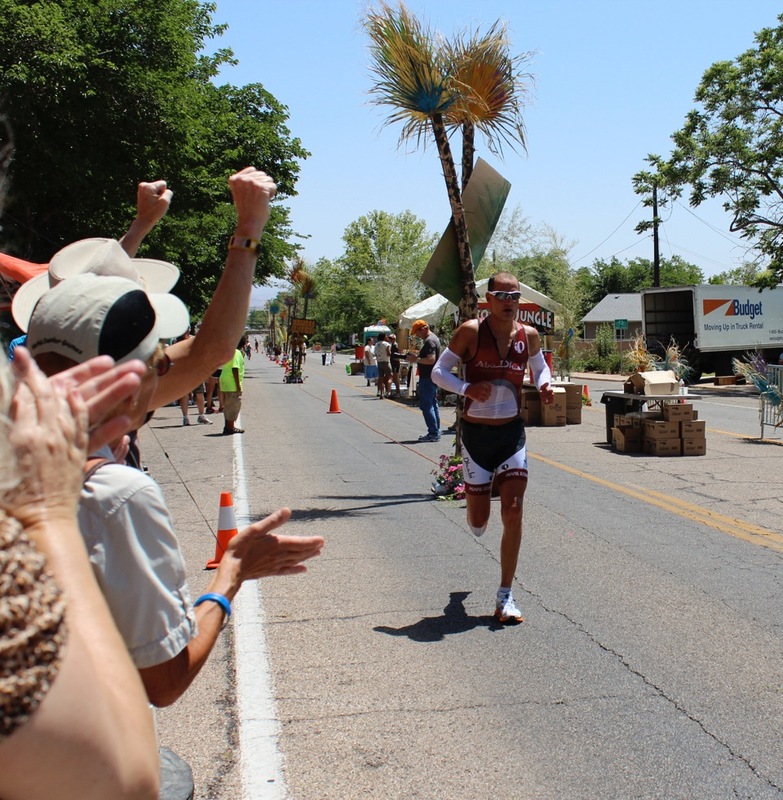 As a captain, Warner has seen volunteers quit smoking, lose significant amounts of weight and even become Ironman competitors themselves. 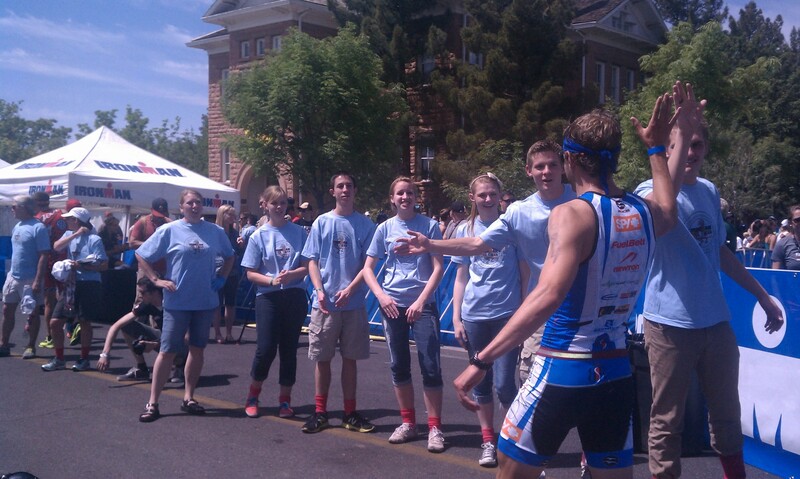 Jamaica Hansen, finish line captain, has also been a volunteer since the first Ironman race in St. George. She first read about becoming a volunteer captain in the paper and, as she recalls it, she had “a huge impression to go to the meeting,” she said. She went to the meeting, signed up to work the finish line, and that is, as she said, where her story began. Now entering her fifth year, Hansen is a seasoned pro who in 2013 won Captain of the Year. 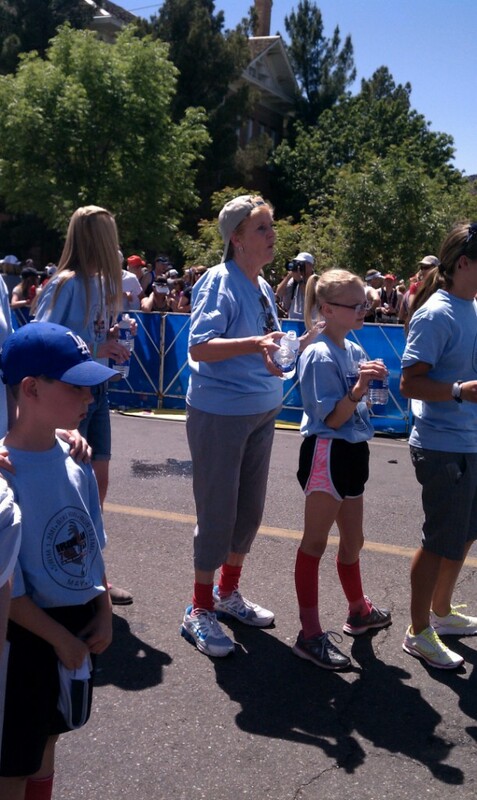 At the finish line she manages between 40-50 volunteers, Hansen said, mostly returning friends and family, many of them kids. 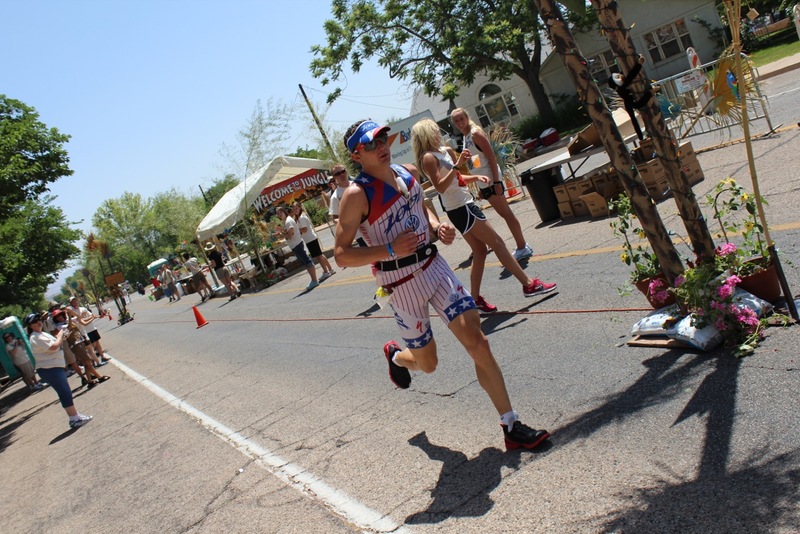 Hansen, who has done some triathlons, has also been inspired by the Ironman athletes and has enjoyed getting to know them and seeing them out in the community. “I love being able to scout out the pros as they train, “ she said, “they are real people who have really opened themselves up to our community. For Neilson, Warner and Hansen one of the most significant things about volunteering with Ironman is being able to work with the Ironman Foundation. The Ironman Foundation is the nonprofit arm of the Ironman Corporation. Each race is given funds – generated by entry fees – that stay in the community and are divvied out to local charities and organizations. Volunteer captains are able to pick a charity or organization and apply to have some of the funds given to that group. In the past, money has gone to local search and rescue, Boy Scout troops, school teams and clubs and church groups, most of who are also volunteers. 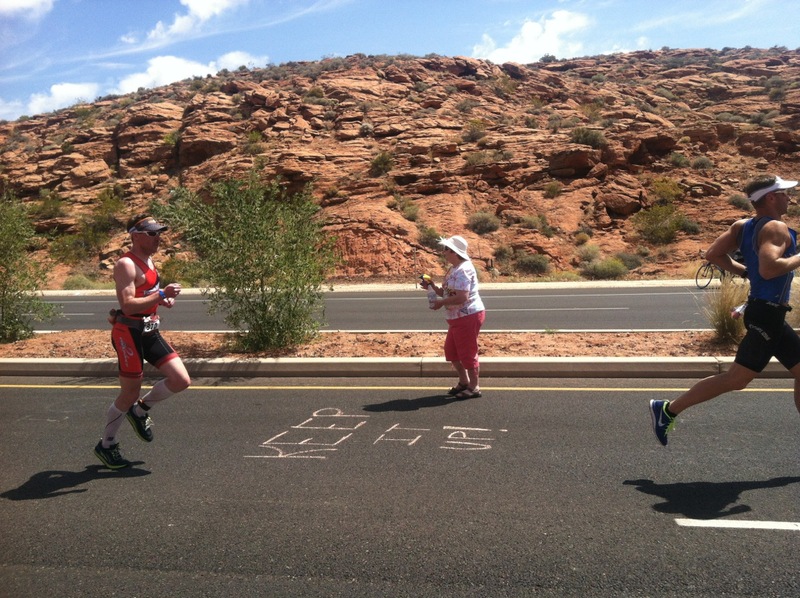 For Neilson, who also directs the St. George branch of the Ironman Foundation, it is something that he believes is a really cool piece of the overall Ironman story that most people don’t get to hear about, he said. This year Warner’s aid station will support the Boiling Springs Ecoseum and Desert Preserve, a local charity trying to create a public garden and trail system located around historic water sources in Washington County. 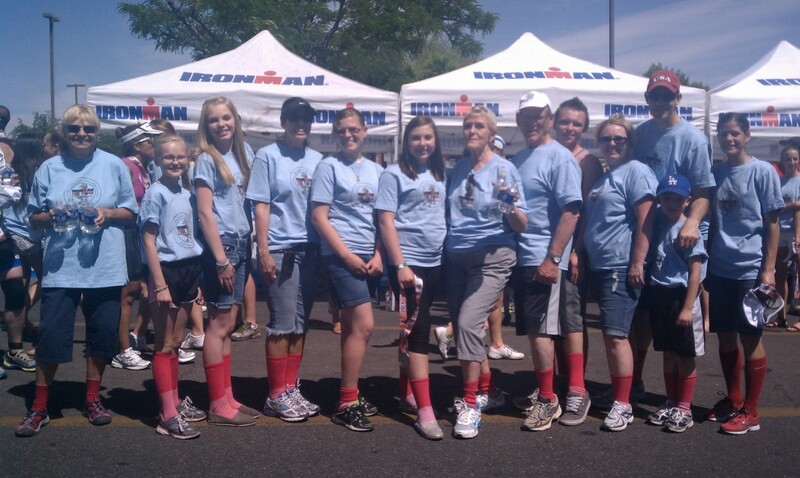 “For me, the Ironman Foundation is an awesome way for an otherwise stay-at-home-mom to give back to the community in a really big way,” Hansen said.